Helsingborgs IF centre-back Andreas Granqvist has emerged as a surprise target for Manchester United in the winter transfer window. According to the football transfer rumours in British media, Manchester United are interested in Helsingborgs IF centre-back Andreas Granqvist. The Sweden international was signed by Helsingborgs in July 2018 from Krasnodar on a free transfer. The 33-year-old has a contract until 2021 with the club. Granqvist has played 10 times for Helsingborgs since signing from Krasnodar, scoring one goal. The 33-year-old is considered to be one of the best centre-backs in Sweden. His record for Sweden is also impressive. Granqvist has scored 8 goals in 77 matches for Sweden at senior level. 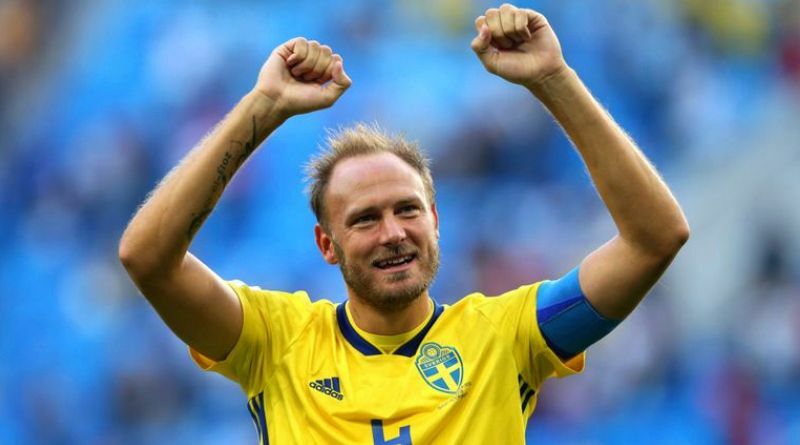 José Mourinho wants to sign a new centre-back and Andreas Granqvist is one of the names at the top of his wishlist. The Sweden international is thought to perfectly fit the profile of defensive player Mourinho wants to target in the winter transfer window. Granqvist is a traditional defender. He is solid while defending and holds his position perfectly. How strong that interest is and whether Manchester United will make a move remains to be seen but it is certainly one worth keeping an eye on.